Virtual Reality in the $8.5 trillion global building industry. How Augmented and Virtual Reality will open and democratize the $8.5 trillion global building industry. Fast Company, “VR won’t just change the way we experience life. It will change the way we create” Here’s the full article. By enabling anyone to immerse themself in interactive design data, VR and AR fundamentally change the relationship between designer — and any consumer — and products and services. This will also change how products are marketed, made and manufactured, including buildings and even cities and the $8.5 trillion global construction industry. 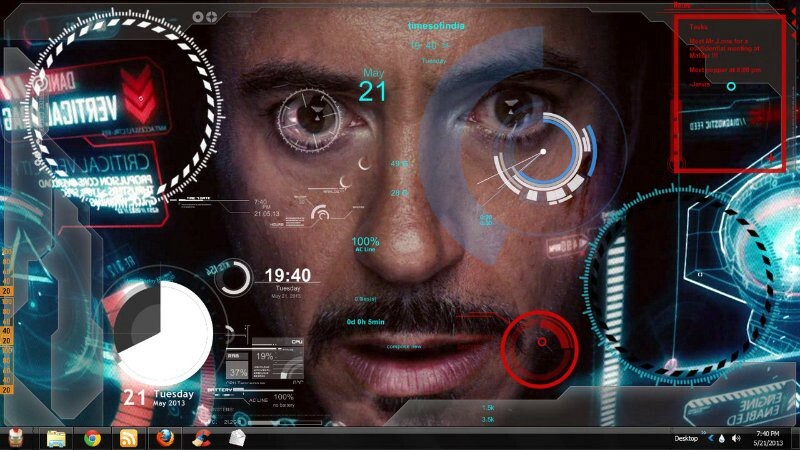 Multi-user, real-time design environments open even more possibilities, especially when connected directly to on-demand fabrication. imagined using the Holodeck on Star Trek, and read Snowcrash or Ready Player One. Over 100 million people have played the Sims games and many have asked — “why isn’t this happening in the real world yet?” Moore’s law and smart phone technologies have enabled rapid development of VR/AR experiences and now these VR dreams can be realized. Many of us even believe (actually, we feel we know) that much of the future portrayed in the video below can now be realized. The “believers” opting in to digitizing design and making are growing in number and with the release of consumer versions of the Oculus Rift and HTC Vive now shipping (we are busy developing immersive design and fabrication content on Vive), their collective is set to grow rapidly. Add in augmented reality hardware like Microsoft Hololens, Meta Glasses and the heavily-funded (Google) Magic Leap and the future gets very exciting indeed. With consumer HMDs now shipping — and back ordered for months — there is serious concern that the shortage of good content and/or bad content risk derailing VR as an industry once again. Unfortunately the web is about to be flooded with bad VR content. A growing number of companies are making it possible to “import” design data including CAD into VR. Much of this will literally make people sick. Content created using generative / computational design will add to the flood. Procedurally generated 3D content in games like the upcoming No Man’s Sky (18 quintillion (1.8×1019) planets) create effectively infinite content. And add 100+ million Minecraft creators and in-world/VR content creation…. So while the potential is exciting, the novelty will quickly fade. The bigger question is how will good VR/AR be used to change design and making/manufacturing in the physical world. And how will this content efficiently be made real? The Bits-to-Atoms question gets bigger. Will change be consumer-driven? What architecture and construction and the built environment in which we all live? Digital design needs digital fabrication — in every industry including building. 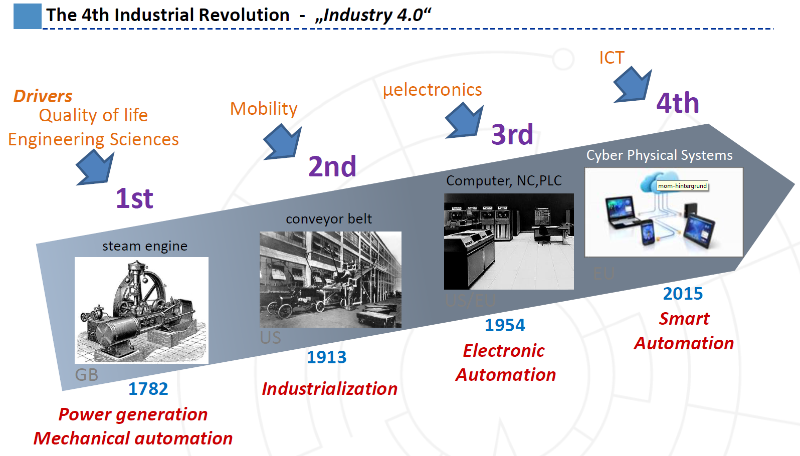 Call it Industry 4.0, advanced manufacturing, virtual factories, or end-to-end digitization, it’s still a bits-to-atoms challenge. It isn’t only the digital designers who are fascinated by this digitization, makers and manufacturers are digitizing production with advanced manufacturing and robotics and the most progressive are already integrating new immersive design technologies. Check out the just released IKEA example using an HTC Vive and the unreal engine. If you have HTC Vive hardware you can already download the free demo from Valve’s Steam here. This end-to-end digitization is already a very popular topic among leading manufacturers who refer to it as Industry 4.0 or Digital Fabrication. Industry 4.0 was also the theme of the World Economic Forum in Davos andPresident Obama will be exploring it further in Germany at the Hannover Industrial Fair later this month. Petersen Automotive Museum Facade by Zahner. In construction, our Digital Fabrication Network (disclosure: I am a co-founder and Board member) is pushing the industry forward by collaborating and delivering amazing new buildings. Here is a downloadable report from our first Digital Fabrication Network Summit at Autodesk and a second will be available soon. We have also been exploring and hacking this question at both our Virtual Reality Hackathons and our AEC (architecture, engineering and construction) Hackathons. Our growing group of digital rogues have already organized more than 10 VR Hackathons and 13 AEC Hackathons and we have more than 20 AEC Hackathons in the pipeline. Our next VR Hackathon takes place on April 22–24that the University of Washington in Seattle. If you can’t join us in Seattle (home to Microsoft, Amazon, Valve, and the leading VR engineers for Unity and Unreal), I invite you to our next AEC Hackathon in LA on April 29-May 1st or our secondAEC Hackathon in Finland on June 3–5th. The building industry is widely recognized as being very slow to adopt new technologies and new ways of working. But, there are millions of building industry people who are very eager to innovate to build better, faster and to construct “impossible” buildings and digital cities. Many of us also grew up watching sci fi films, reading science fiction and dreaming of a better digital future. More importantly, we also recognize that digital technologies make it possible for us to collaborate digitally in real-time, from anywhere in the world and, more importantly, to work directly with our customers to change the industry. We “digital builders” embrace change and welcome technology and openness. We recognize that even if “world builder” or Holodeck-like software were made freely available tomorrow (and with Microsoft investing billions in Hololens and billions more going in to Magic Leap — plus VR and AR merging, it soon will be), millions of innovative builders are still required to construct our cyber-physical, mixed-reality future. 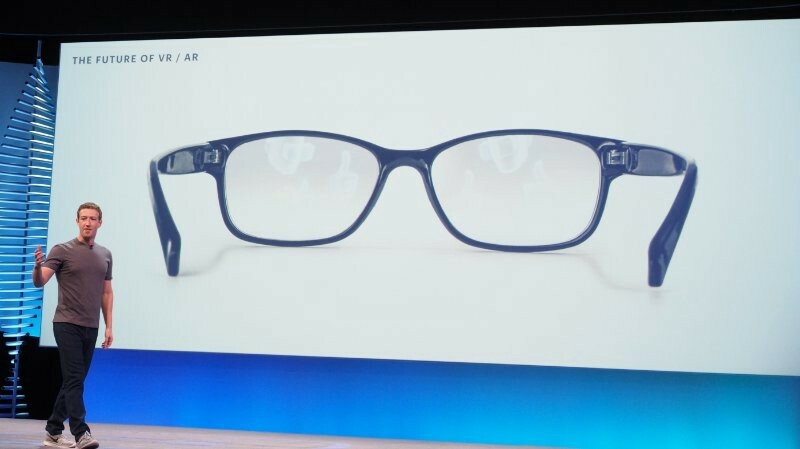 Many billions of dollars are being invested in wearables and immersive data and discussions on how soon VR/AR/MR will be possible on devices that look like standard reading glasses are increasingly common. Mark Zuckerberg opined on this goal at Facebook’s F8 conference earlier this week. Where can one find the gamers, hackers, designers and builders who can and will accelerate the development of this inevitable future? You can meet of us at our AEC and VR Hackathons. Join us. Now seems like the perfect time to make it happen. Here are some more resources if you want to take the red pill and dive deeper into the future and join us to build it. I’m involved in all of the above as a co-founder, manager and/or co-organizer. And when not geeking out with tech in AEC, I’m also working with our team to make the Pacific Northwest a global leader in using immersive technologies for the design of timber buildings we fabricate using digital fabrication and robotics. We now have 3 Hundegger wood cam/cnc machines in our network (more than anyone else in North America) including at our partner company, DR Johnson, the first U.S. CLT producer. Our home states, Washington and Oregon, are the largest wood producing states in the U.S. (itself the largest market for wood in the world) and we believe we can help make our home a global leader in innovative digital timber. Let me know if you want to help change the world. I’m interested. And below is an example of one of our digitally fabricated timber projects. The TED stage is a great example of what digital fabrication makes possible. 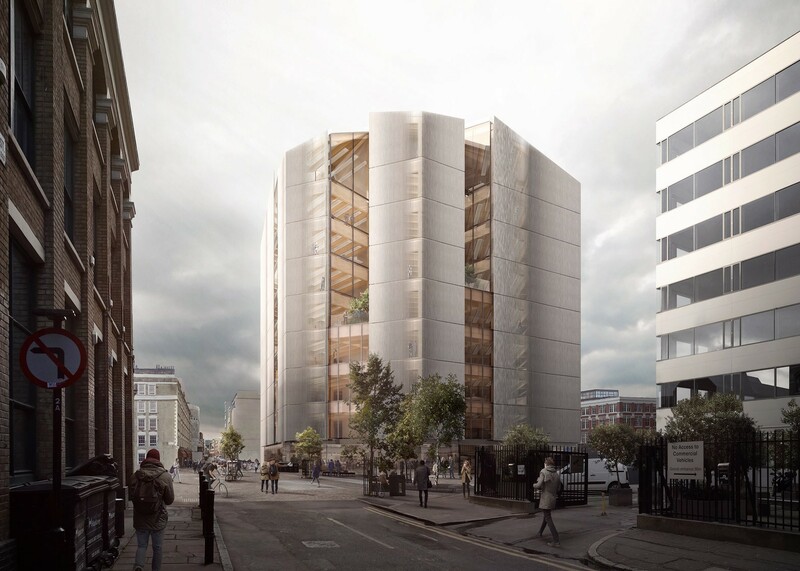 Now we are on to timber skyscrapers — a proposed 80-story wood skyscraper in London — and innovative smart, digital, green timber homes. In a world of accelerating change and innovation, in many ways the most important innovators are the home buyers and real estate developers ready to use new technologies and systems for smarter, greener, faster and better building. If you are that kind of innovator, let me know. Let’s make it so.